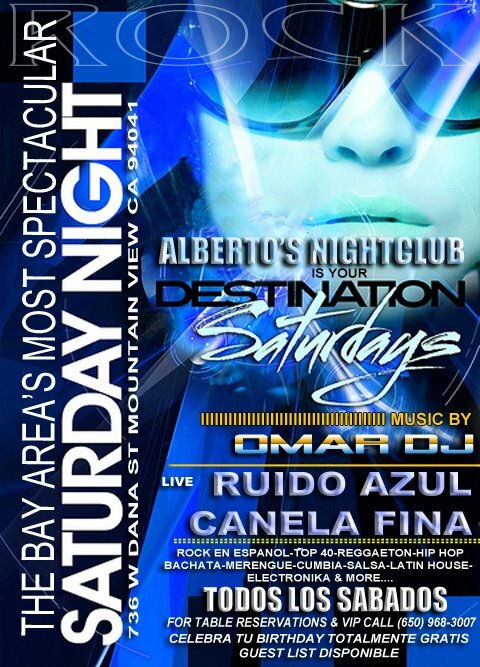 The Bay Area's premire destination for latin music and dance. 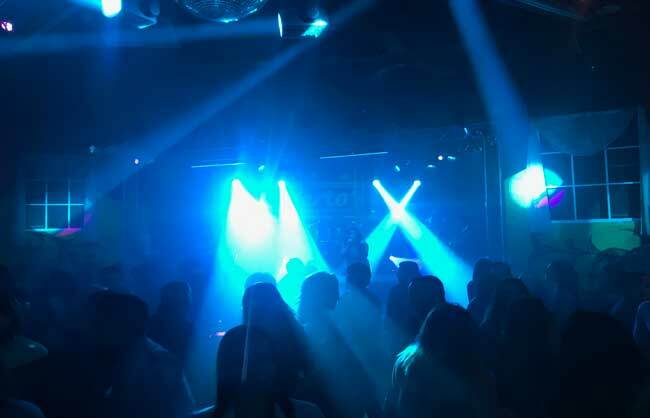 Established in 1992, Alberto's quickly became one of the best nightspots in the bay area. Lore has an unknown musician at the time, Marc Anthony, once played at the club. 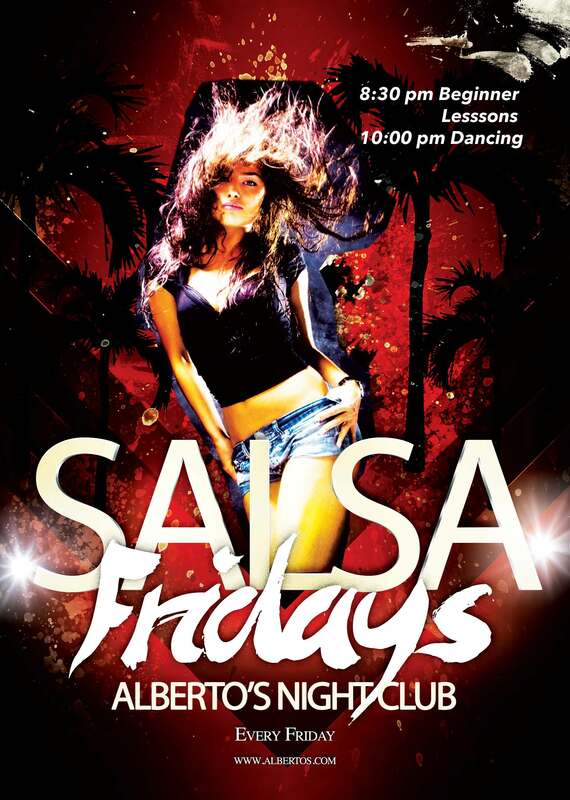 Alberto's continues to be the goto place for Salsa, Bachata, dancing and Latin music. 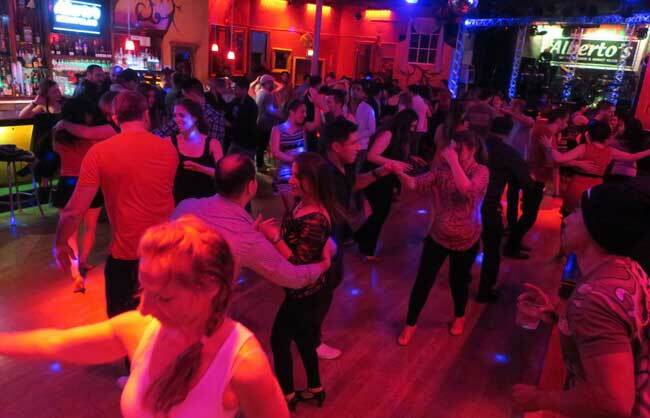 It caters to a diverse audience who come to hear and learn musical styles from salsa to tango. Establecido en 1992, Alberto rápidamente se convirtió en uno de los mejores clubes nocturnos en el área de la bahía. Leyenda tiene un músico desconocido en ese tiempo, Marc Anthony, una vez canto en el club. 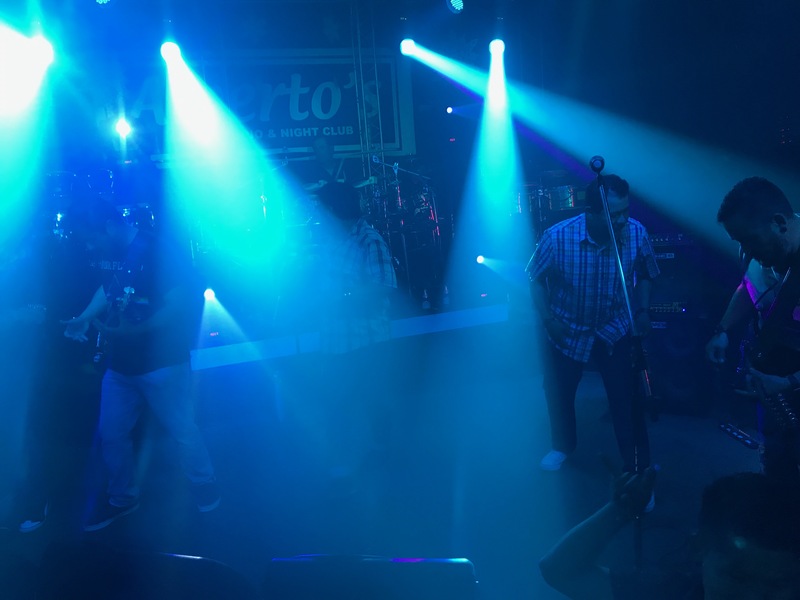 Alberto's sigue siendo el lugar goto para la salsa y la música latina. 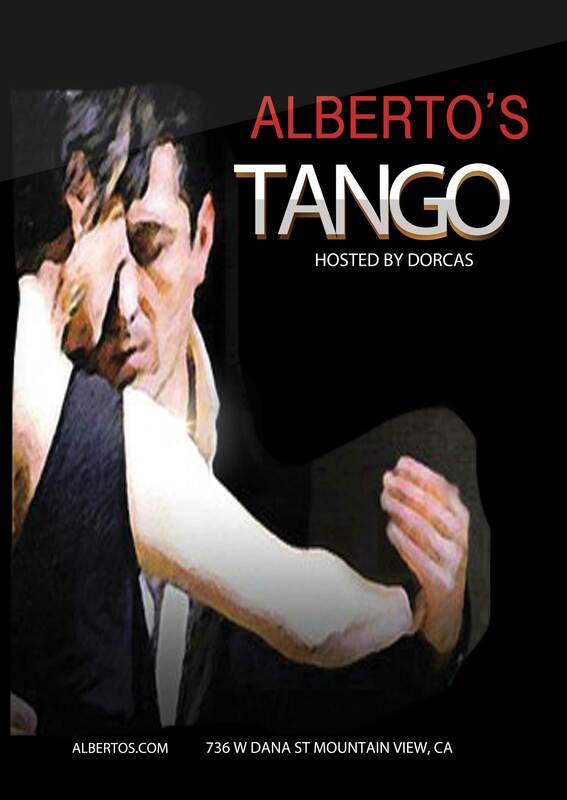 Atiende a una clientela diversa que viene a escuchar y aprender estilos musicales de la salsa al tango. 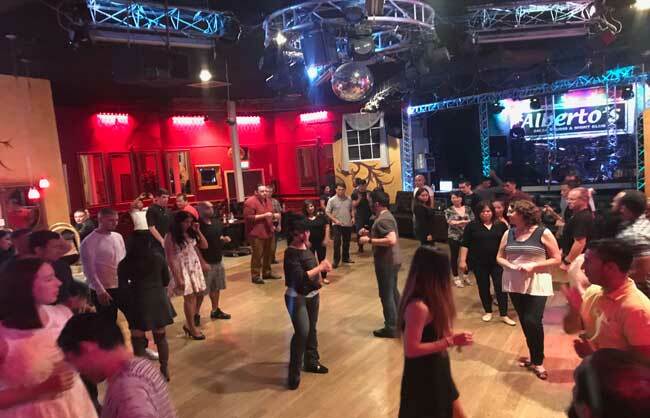 You want to dance salsa but afraid to start? Tocando lo mejor de Rock en Español . 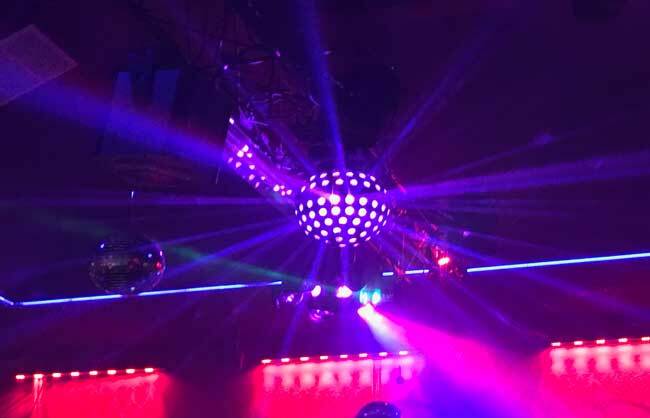 See you on the Dance Floor!. Celebrate your Birthday with Us! 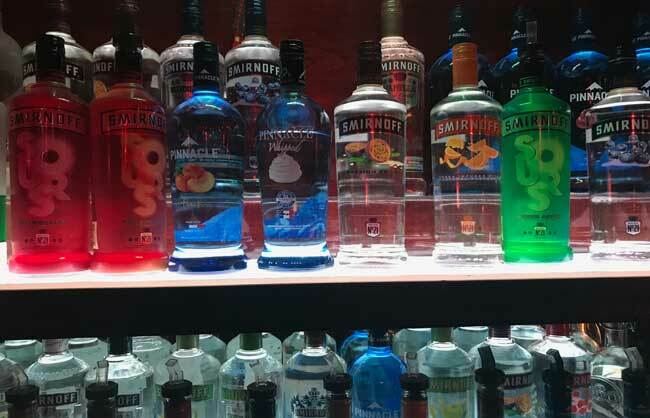 Ven a celebrar tu cumpleaños con nosotros! 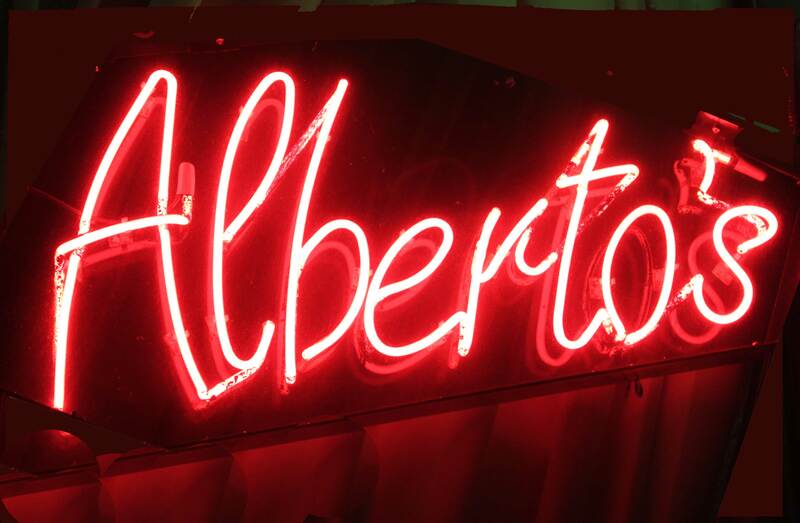 Celebrate your Birthday at Alberto's. Bring a cake and celebrate with drinks, friends and dancing. Free table reservations (with prior notice, based on availability). Celebre su cumpleaños en Alberto's. Traiga un pastel y celebre con bebidas, amigos y baile. Reservas de mesa gratis (con previo aviso, según disponibilidad). It's Saturday Night....Time to be a Hero and Rescue some Corona's trapped in a Bottle. Whatever the occasion; bachelor party, bachelorette party, birthday party, or just a weekend getaway. 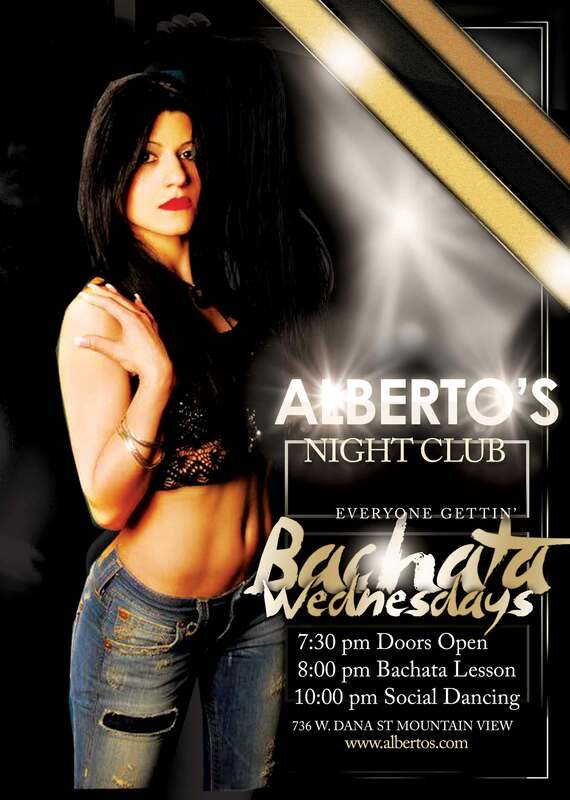 Party like a pro, and get the VIP treatment with Alberto's VIP & Bottle Service. Cualquiera que sea la ocasión; despedida de soltero, partido del bachelorette, fiesta de cumpleaños, o apenas una escapada del fin de semana. 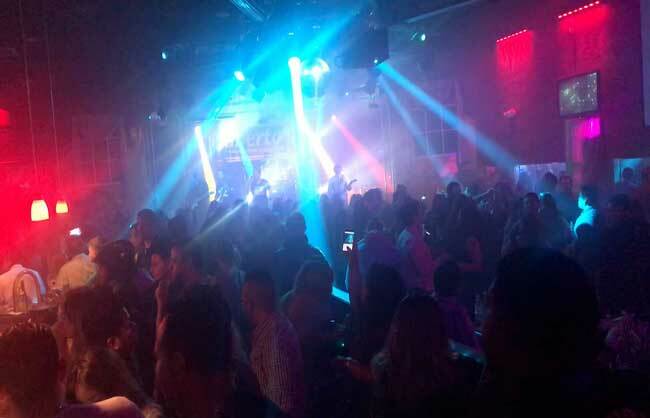 Fiesta como un profesional, y obtener el trato VIP con Alberto's VIP & Bottle Service. Table reservations are based upon party size, night and availability. Please include the total number of guests in your party for your reservations. Las reservas de mesa se basan en el tamaño del partido, la noche y la disponibilidad. Por favor incluya el número total de invitados en su grupo para sus reservaciones. Life Isn't about waiting for the storm to pass.... It's Learning to Dance in the rain. 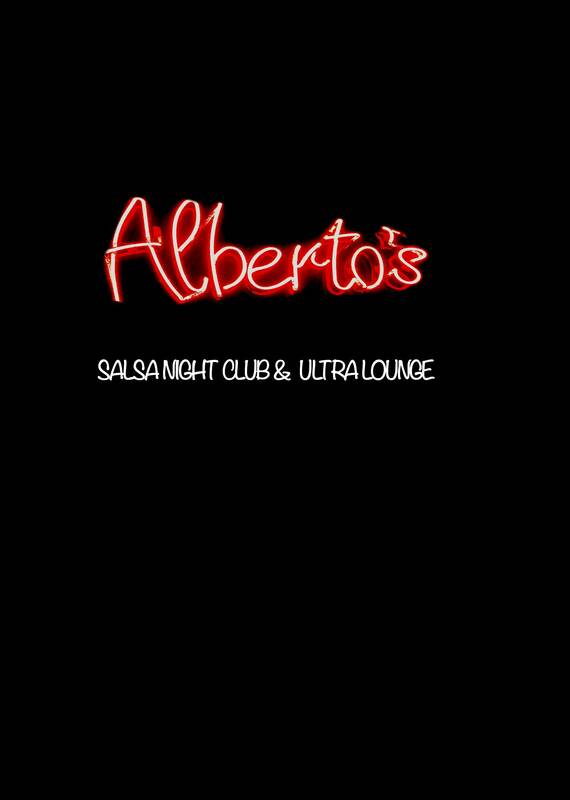 Alberto's holds various events/parties throughout the year from Salsa/Bachata contests, Halloween Mega Party, New Year's Eve and others. 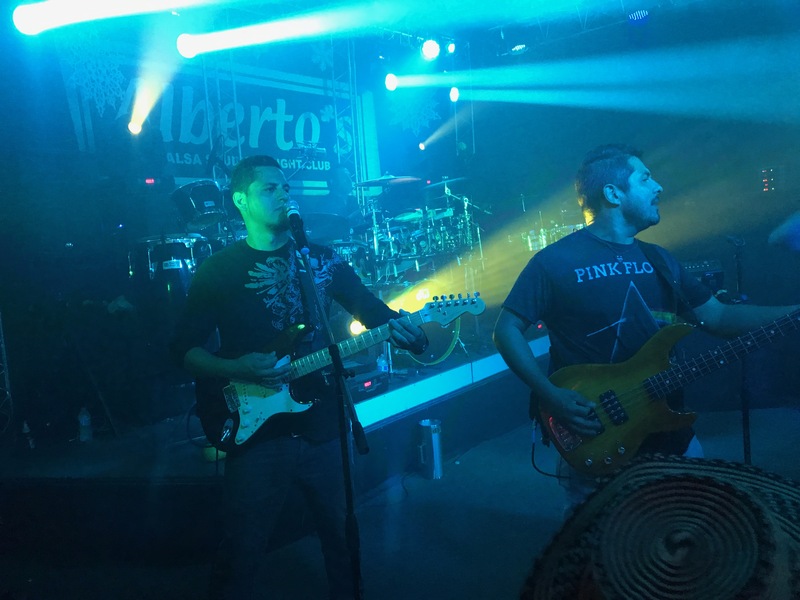 Alberto's tiene varios eventos / fiestas durante todo el año de concursos de Salsa / Bachata, Halloween Mega Party, Año Nuevo y otros. 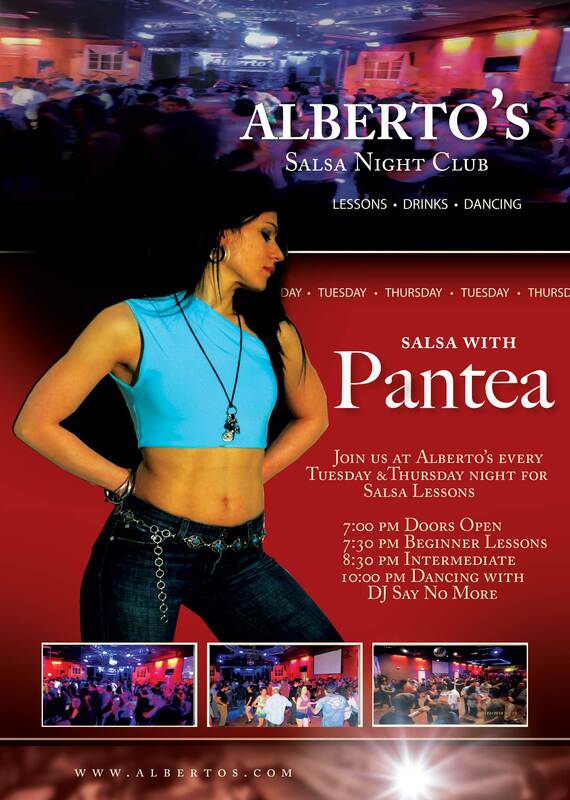 Interested in Our Salsa/Bachata Lessons? Hello, I was in town for business, quick goggle search for Salsa, found your club. Your instructor is awesome and I had a great time! Thanks! I swear I have 2 left feet, your instructor Pantea is very patient and fun! I've been attending your lessons for 3 weeks, feeling confident every week. 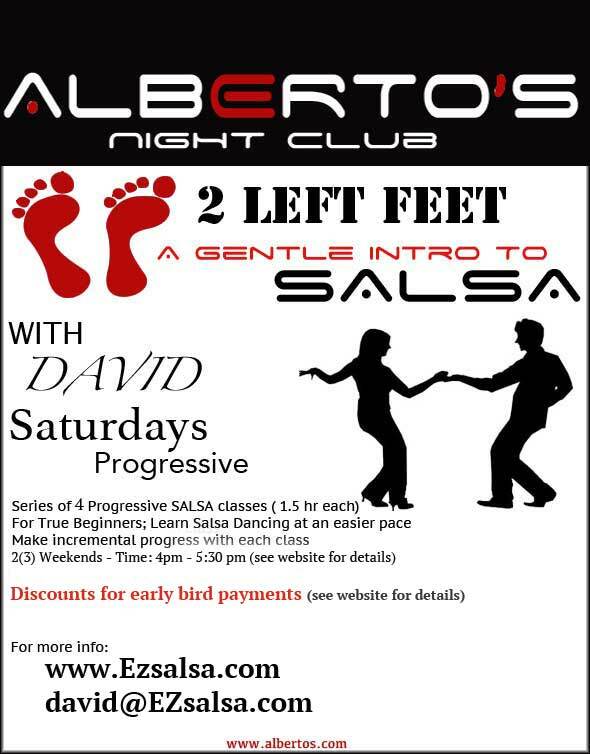 Salsa at Alberto's is so much fun thanks! Hello, I just wanted to say THANK YOU! I called to make reservations for my best friend's birthday. We reserved a space for all our friends and had cake, drinks and danced all night! You made it special, thank you again! 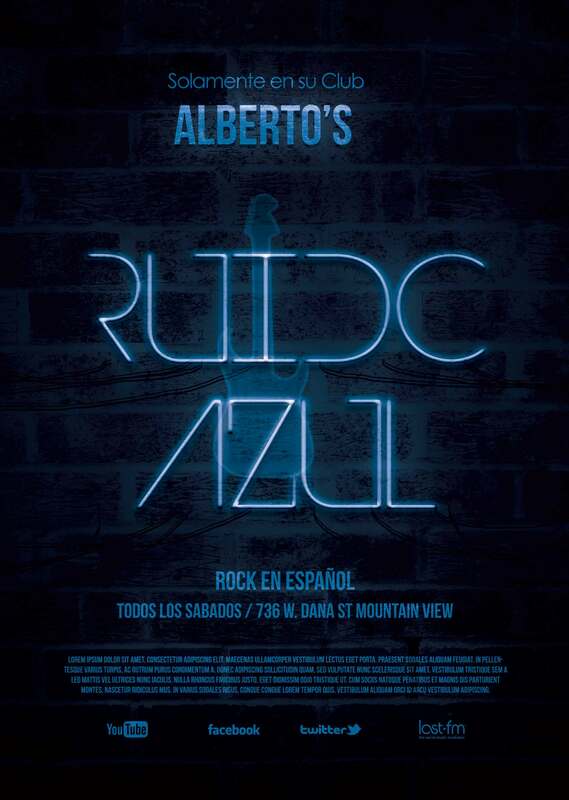 The fusion of alt-rock with Latin folklore. What began as a cult movement in the late 1960s has blossomed into a popular phenomenon. 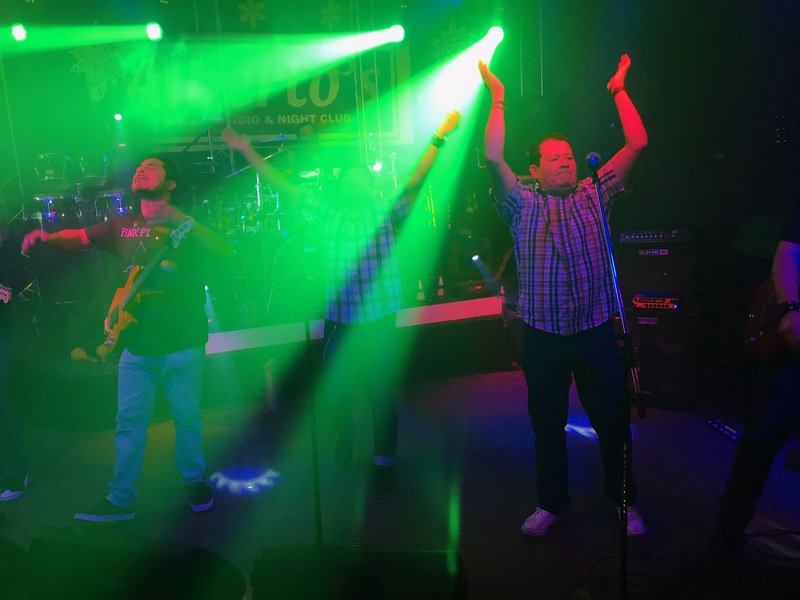 Tocando lo mejor de Rock en Español, Cumbia, Salsa y mucho mas.